When results (financial or non-financial) for any member of the group are updated, then Fathom will prompt you to manually update the group to ensure that the group data is reflective of the underlying members. 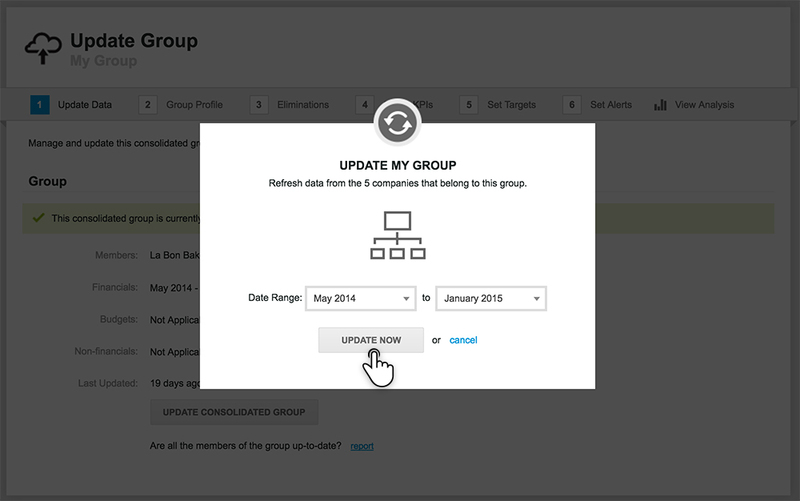 Then select the date range to include in the group. Then click 'Update Now'. 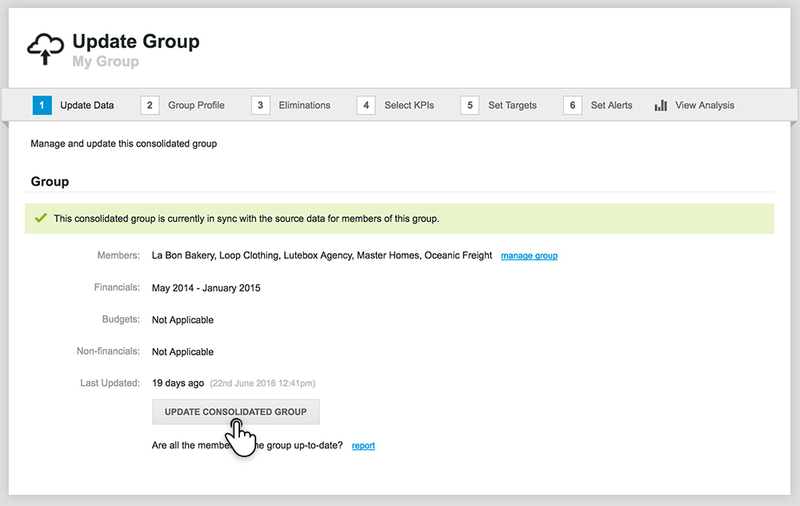 To change the entities in a consolidated group go to 'Setup' and click on 'Manage Group'. You must have at least two companies in the group. For more information on Consolidations, see our complete Guide to Consolidations. 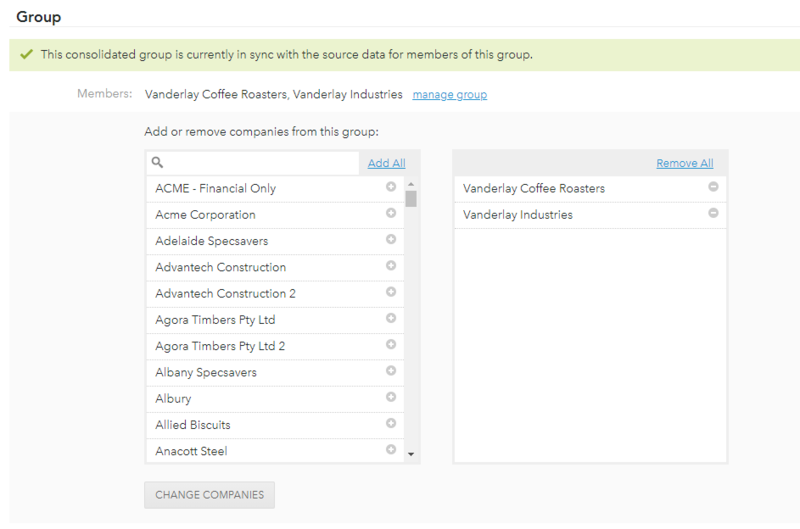 For help with group set up, see Create a Consolidation Group.